-- Lionel is back in another Grand Adventure! 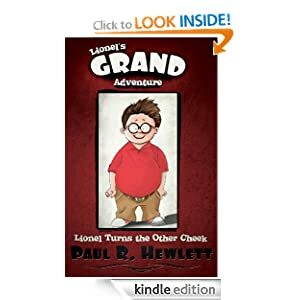 Lionel's Grand Adventure: Lionel Turns the Other Cheek is a beginning chapter book for ages 7-10. Lionel has always wanted to go to summer camp, but will his mean old Mom let him? Even though Lionel is now familiar with the Three-Toed-Pot-Bellied Walbaun foot, its unpredictable nature takes him on another adventure of a lifetime. Join Lionel as he heads off to summer camp and discover the wonderful world of the magical Walbaun foot and the lesson it helps teach Lionel (again).